Bread blackens in the oven. the sparrows pecking at them. Rinse an apple in running water. Its juice flows like gutter oil from the tap. Eggs sit on the plate, meditating. the egg whites and yolks hardened. That’s what I’m having for breakfast. or a bureaucrat throwing himself off a skyscraper? cutting newly grown prefixes off words. 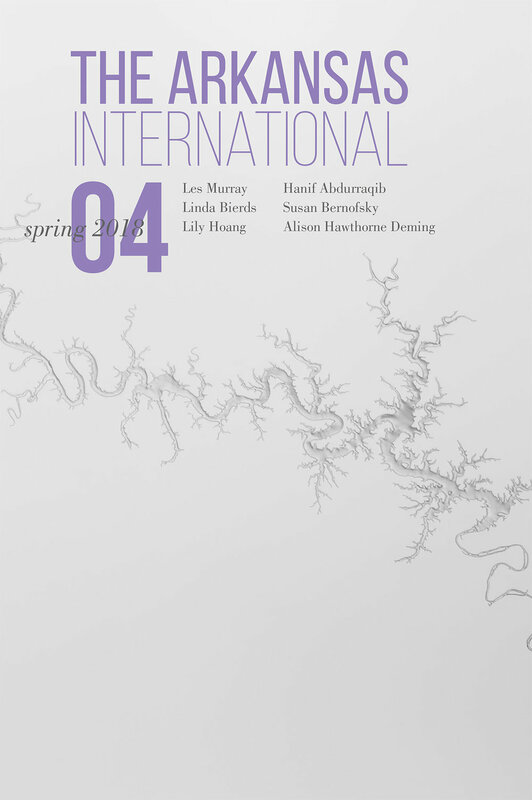 Jiang Hao's "Spring Festival poem" can also be read in the print edition of The Arkansas International 4. Jiang Hao was born in Chongqing in 1971. He has worked variously as a reporter, newspaper editor, university lecturer, and graphic designer in Beijing, Chengdu, Ürümqi, as well as Hainan Island, off China’s south coast, where he now lives. He is the author of six poetry collections, most recently Poems of a Wandering Immortal / Natural History Poems (2016). Chenxin Jiang translates from German, Italian, and Chinese. Her translations have received several awards, including a PEN Translation Fund grant and the Susan Sontag Prize for Translation. Chenxin is the senior editor for Sinophone writing at Asymptote, a journal of contemporary literature in translation.